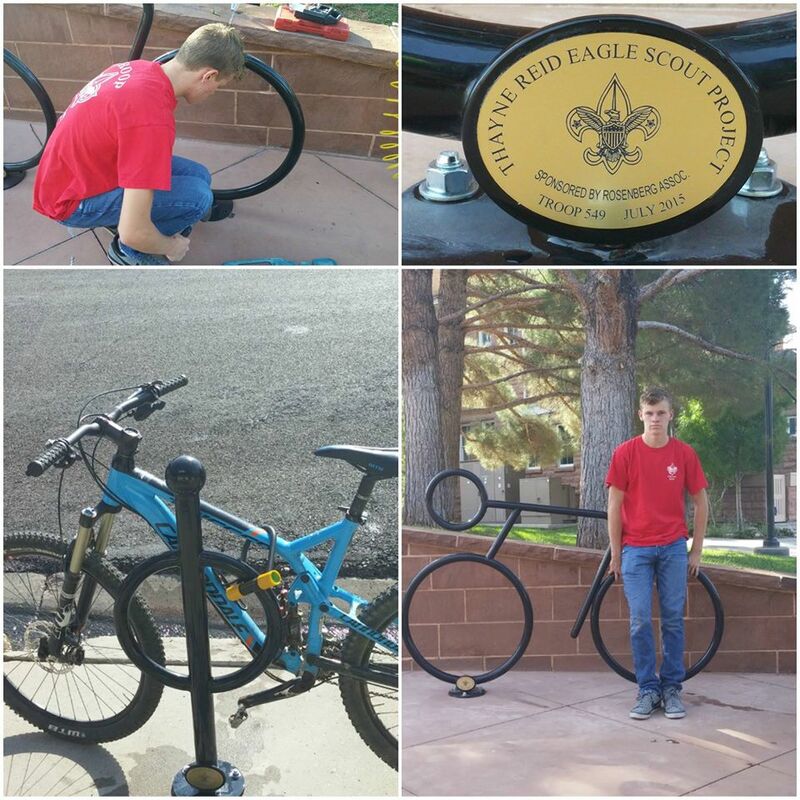 ST. GEORGE — There are four new bike racks downtown St. George for those bicycling city streets, and for those who prefer their bike tires on dirt, there’s a “fixtation” at the Bear Claw Poppy Trailhead in St. George. 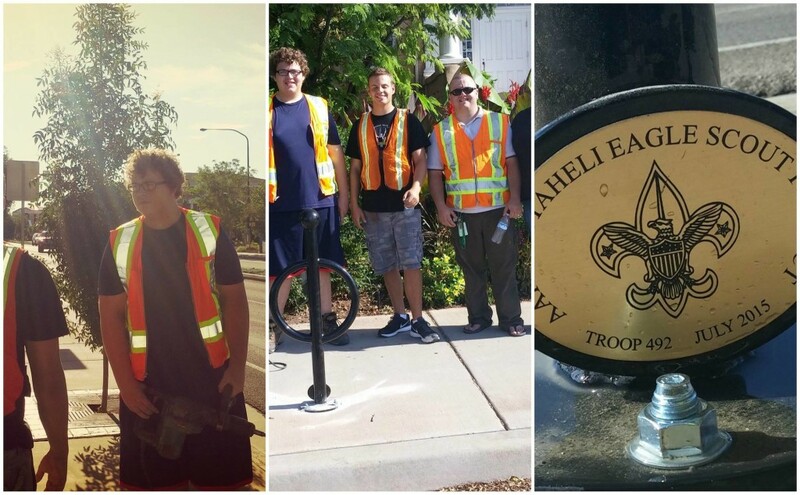 They’re all a product of concerted city and community efforts, including some Eagle Scout projects, aimed at making active transportation in Utah’s Dixie appealing and doable. The downtown bike racks are part of the city’s plan to put 50 new racks in by the end of the year. These four racks were paid for through fundraising efforts by Thayne Reid, a local teenager working on an Eagle Scout project. So far, 20 racks have gone up downtown, including the latest four, over the last two months, Marc Mortensen, assistant to the city manager and a member of the city’s Active Transportation Committee, said. 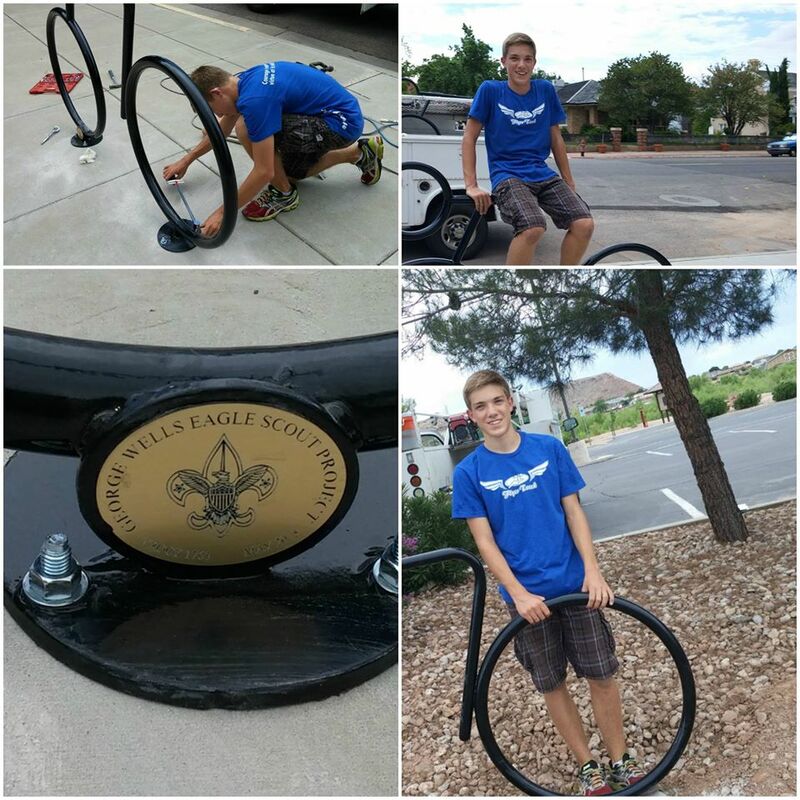 The city paid for three of those, and the rest have been made possible through donations from Boy Scouts like Reid and local businesses who want bike racks around. There are three styles of bike racks the committee chose for St. George. 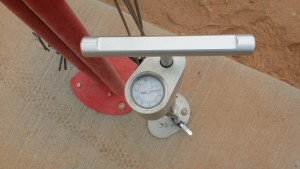 There is a simple pole with a ring on top called, simply, the “ring-and-post.” Another style is what Mortensen called “art deco,” a “high wheeler” that looks like old-fashioned bicycles with large front wheels. Finally, the largest design is “the cyclist,” designed to look like a stick figure on a bike. Because there weren’t bike racks on Main Street, Tabernacle Street and the downtown area, the committee decided to focus on putting racks up in that area, encouraging active transportation for people who work or shop downtown. 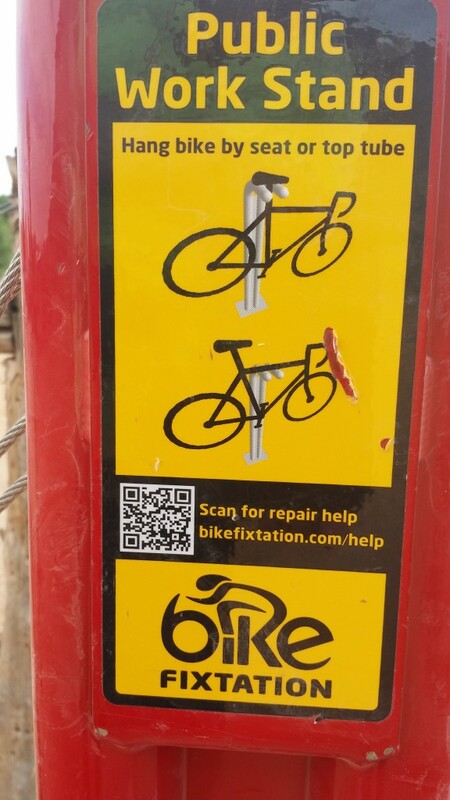 The committee hopes to get the community to donate the rest of the racks, Mortensen said, as it gives people a sense of ownership over them and encourages them to bike around to use them. However, downtown bike racks aren’t the only way the committee is looking to improve active transportation in Washington County. Their next project, Mortensen said, is to improve signs on biking and hiking trails to give the county’s trails a uniform look. The signs they are contemplating would show the length of the trails and a general time frame of how long it will take to bike or walk the trail. Mortensen said the Ironman triathlon has put Southern Utah back on the map as far as biking goes; although another project that may have had an effect, he said, is the founding of the Flying Monkeys, a high school mountain biking team covering St. George and the surrounding areas. The team was founded in 2012 with about 15 members, team director Ron Jensen said, but has since grown to have around 70 members and eight coaches. Ron Jensen’s own son Ryan Jensen is a member of the team and also made bike racks part of his Eagle Scout project. 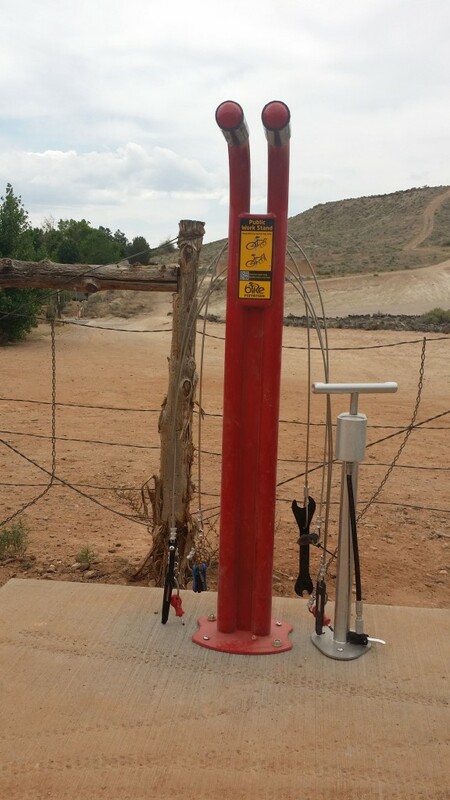 Ryan Jensen raised the money and put in the work to install a “fix-it” station, brand name “fixtation,” for public use at the Bear Claw Poppy Trailhead end of Navajo Drive in the Bloomington neighborhood of St. George. 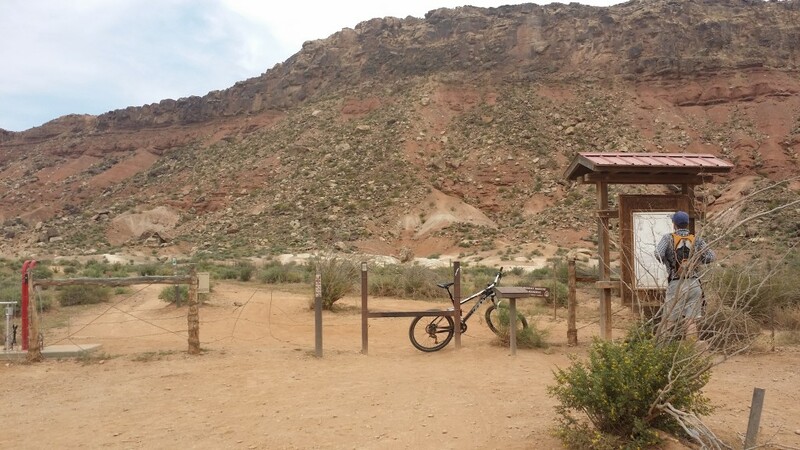 Bear Claw Poppy trail is a popular mountain biking trail that leads to a network of trails southwest of St. George including the popular Green Valley loop and Stucki Springs trail, among others. 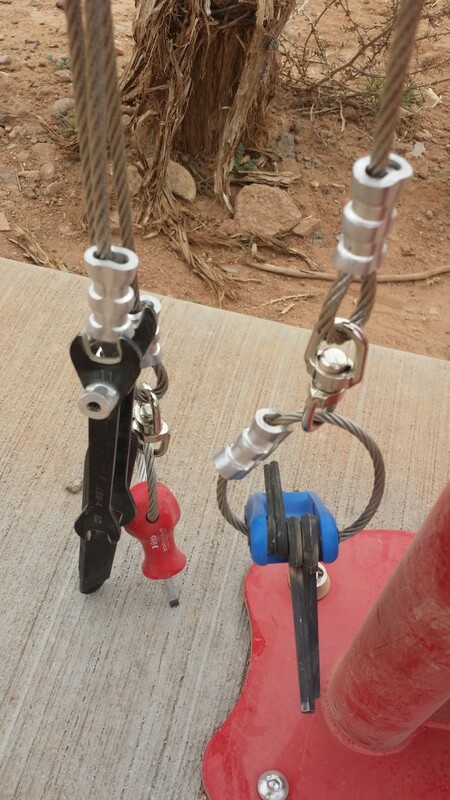 The fix-it station gives mountain bikers a place to hang up their bike for maintenance. 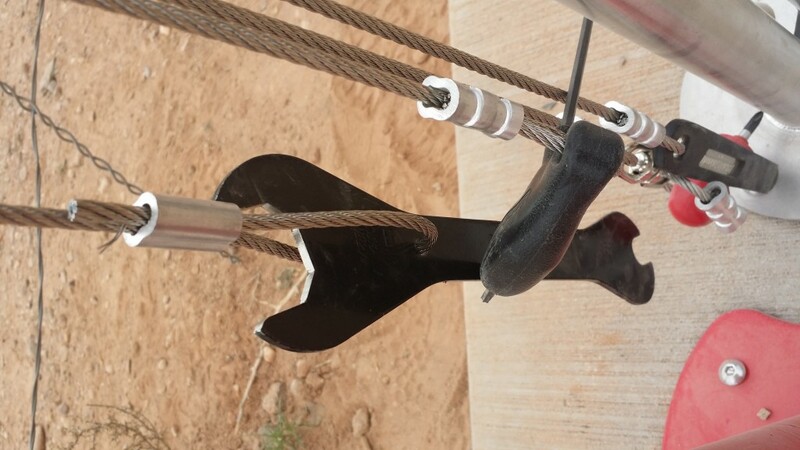 Dangling from it are several common tools bikers can use to fix their bikes and be on their way. 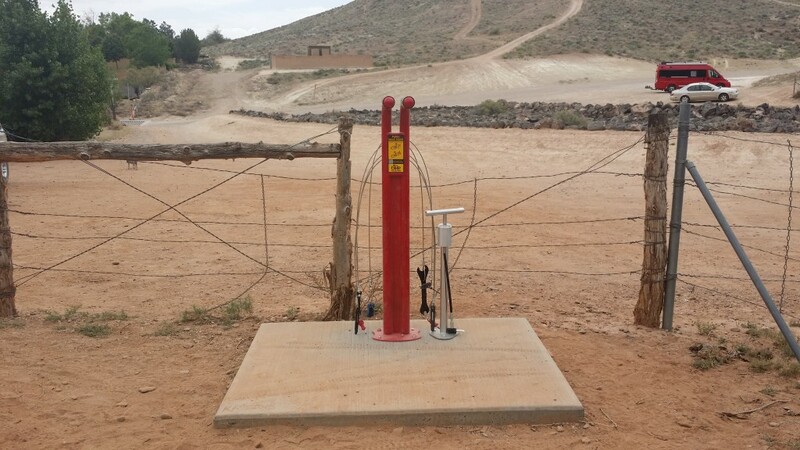 There is also a pump for the tires that is bigger and easier to use than the small pumps bikers usually use on the trail, Ron Jensen said. While the team uses the rack often on their trail rides, Ron Jensen said his son gets a kick out of seeing other people use the rack as well. It’s given Ryan Jensen something to be proud of, Ron Jensen said, but it’s also built his connection to the community as they both supported the project and the Flying Monkeys on many occasions. “It’s phenomenal for me to see the community get behind the sport,” Ryan Jensen said. Oh oh this is not good news. Them car driving people that drive drunk and text while driving and hit and run and kill people because of distracted driving are no going to like time and effort going towards bicycle riders… After all bicycle riders and pedestrians don’t pay taxes and serve no purpose to the community do they.? Oooooooh another good one CALI LOL. !